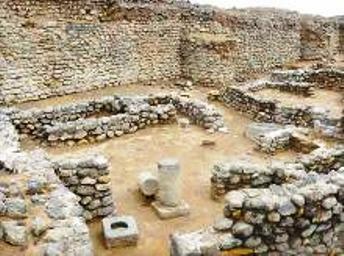 RIYADH: The Saudi Commission for Tourism and Antiquities (SCTA) has announced a series of discoveries of historical interest made over the last year at sites across the country. An annual report from the SCTA’s Antiquities and Museums Research Center said explorations by a joint Saudi-German team of archeologists at the site of a village in the Tayma region of Tabuk uncovered Aramaic engravings and earthenware pots decorated in the style of similar artifacts found in Madina and usually dated to the second millennium BC. Also in Tabuk, in the area of Kilwa, a Saudi-French team found a number of rock drawings of humans and animals, as well as engravings in the Thamudic script from pre-Islamic times. In Jarash in Ahad Rufaidah in the province of Asir, Saudi archeologists uncovered a stone town fort and containers of various types, segments of baked brick, and other artifacts from different layers of the earth dating to different periods from before Islam to both early and late Islamic times. Also found at the site were several drawings and engravings, one of the most prominent being the image of a lion killing a bull. At Najran’s Al-Akhdoud site, a Saudi team uncovered an earthen pot containing metal coins and rings, as well as stones bearing engravings in the South Arabian Musnad script. Surveys and digs were also conducted at Al-Ghat and Al-Quwaira in Riyadh, with findings including engravings and rock drawings, as well as in Mada’in Saleh and the Eastern Province. The SCTA report added that a Saudi-British team conducted an archeological survey of Juba in Hail, taking aerial photographs of sites with engravings and rock drawings. SCTA vice president Ali Al-Ghabban said the commission currently had a range of archeological digs on the go. “We’re working on archaeological and heritage sites to preserve them, renovate them, and prepare them so they may be learnt from in the development process,” he said.